February 15, 2019 – Due to predicted inclement weather, this event has been CANCELLED. Our next Base History Tour will be on March 16, 2019. 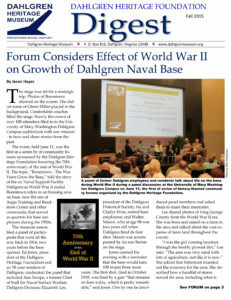 Enjoy a history tour of Dahlgren followed by a guided tour of the museum. Bus leaves the museum promptly at 11 a.m. To register, call the museum at 540-663-3680 or register at https://www.eventbrite.com/e/october-dahlgren-heritage-museum-centennial-base-history-tour-tickets-41830293534.